After the events of A Thousand Tiny Wings, Elizabeth Klein is now travelling with the Seventh Doctor. February’s Big Finish offering consists of a one-part story, Klein’s Story, in which Klein relates how she came to possess the TARDIS in the the audio Colditz (released several years ago), and a three-part story, Survival of the Fittest. Since Paul McGann is credited on the packaging, and Big Finish themselves are touting the release as “Two Doctors in one story!”, it’s not too much of a spoiler to say that, yes, both the Seventh and Eighth Doctors appear in Klein’s Story. Multi-Doctor stories can be a mixed bag, at best, but Klein’s Story uses them both cleverly and appropriately, with a liberal application of timey-wimeyness. The one-parter was apparently a bit of an afterthought when the main story’s script ended up being better suited to three episodes than four, but it was certainly a fortuitous afterthought. The number of years which have passed since Klein’s introduction in Colditz mean that all but the most fanatical of listeners can benefit from a refresher on the events of that audio. Klein’s Story delivers such a refresher elegantly and subtly, while also filling in some blanks from the original adventure. Both Doctors are in fine form, and Tracey Childs continues to deliver the goods as the fascist Klein. Guest star Rupert Wickam rounds out a delightful cast as Faber, Klein’s superior, and later, romantic interest. Almost everyone longs for the epic, multi-Doctor extravaganzas, but it is in smaller settings like Klein’s Story where the concept really seems to work for Big Finish. As for the main part of the release, Survival of the Fittest, the writer has brought us some meaty, traditional sci-fi fare. The bee-like Vrill have suffered a terrible cataclysm; one which has brought the nest to the brink of destruction. The cause of this holocaust is one which hits a little too close to home for Klein, and which makes her begin to question some of the cultural underpinnings of fascism. Watching (well, listening to) Klein’s internal conflict as the facts come to light is fascinating, and once again underlines the wisdom of bringing Klein’s character back. If there’s any complaint at all, it’s that – as in A Thousand Tiny Wings – the parallels between fascism and the current events of the story are delivered with a sledgehammer, not an artist’s paintbrush. Liberal application of the clue-by-four to drive home plot points is a failing of the televised Doctor Who reboot, and it would be a shame for that to creep into Big Finish’s productions, as well. Sledgehammer aside, though, Survival of the Fittest is a solid story which will appeal to most science-fiction fans. The world-building is excellent, and the use of pheromones for communication among the alien Vrill is a fascinating idea which doesn’t seem like it should work in audio… but totally does. As is the case with previous multi-story arcs, Survival of the Fittest ends on a cliffhanger. Unlike recent stories such as the Stockbridge trilogy, though, the cliffhanger does not seem contrived in the least – in fact, it has a sense of crushing inevitability about it which is terribly effective. With the first two releases rating well above average in terms of quality, the Klein trilogy is shaping up to be one of the best things to come along from Big Finish in years. Highly recommended. 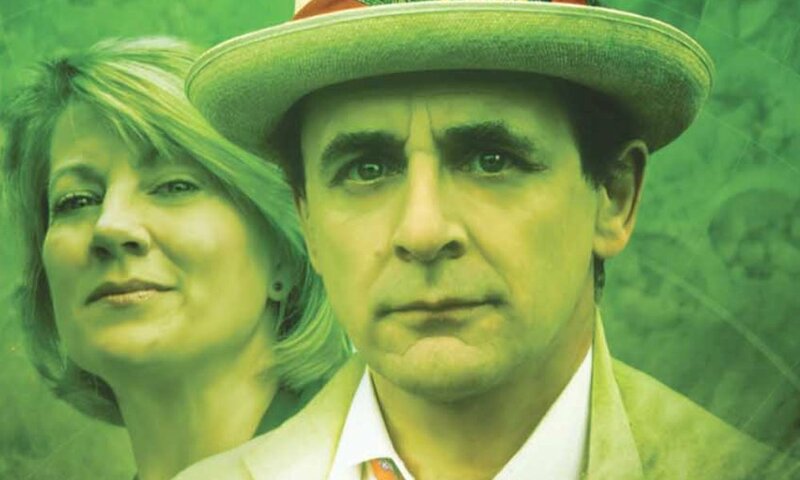 Survival of the Fittest (by Jonathan Ainsworth, Lee Mansfield, Jonathan Clements; starring Sylvester McCoy, Tracey Childs, Paul McGann) was released by Big Finish Productions in February 2010.